Can the customer avail of the wholesale discount together with other discounts or coupons? Question: Can wholesale customers use discount codes or coupons in conjunction with their wholesale discounts? Answer: That totally depends on you, as the store owner. If a customer that belongs to a discount group has discount coupons and the likes, they can still use them or avail of other promotional discounts on top of the wholesale discount. But only if you set it within the app. To learn how to enable or disable this feature, click here. 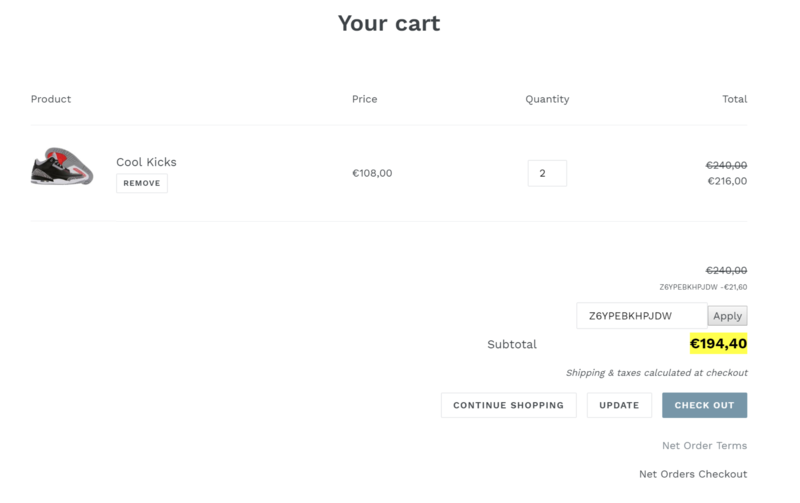 In the image below, the wholesale discount was applied together with the discount from a discount code that was entered in the discount code box.